How do you influence influencers? This is how other PR pros do it. 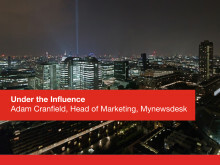 Adam Cranfield, Head of Marketing at Mynewsdesk, reveals how PR professionals are managing their influencer relations, based on a survey over 400 comms professionals. Mynewsnight: The Game of Influencer Relations was held in London on 13th November 2014. 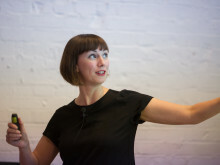 Over 100 comms professionals gathered to listen to four speakers at Skills Matter in The Barbican over pizza and beer. Adam's talk was followed by Alex Myers one on influencer economy, Sarah Marshall's take on journalist relations and Michael Gonzalez's intergrated approach to influencer relations. "Don't kid yourself, you can't influence someone if they don't want to be influenced. They have to want to do what you would like them to do", Adam says. He also talks about the "Benjamin Franklin Effect" and how it is key to building relationships with influencers. In addition to the survey findings he gives us the do's and don'ts of influencer relations, based on his own experiences in digital marketing and the media industry. 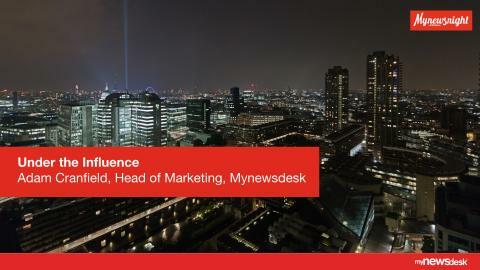 Check also out the best ways to get influencers and keep them: our wrap-up of the #Mynewsnight. On 13th November 2014, Mynewsdesk organised its 4th Mynewsnight. The theme for the night was The Game of Influencers and Sarah Marshall gave us tips on how to influence journalists through social media and get coverage for our stories. On 13th November 2014, Mynewsdesk organised its 4th Mynewsnight. The theme for the night was The Game of Influencers and Michael Gonzalez told us how to find influencers, and how influencer relations have developed over the last few years. 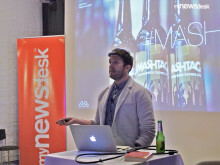 He also revealed how a fully integrated approach to influencer relations can help improve brand recognition. How can PR professionals get started with influencer relations? Where should they go to find the right influencers for their brand? How do you turn influencers into actual shareholders? These are some of the questions that will be answered at our next Mynewsnight on 13th November. 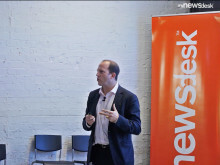 On 13th November 2014, Mynewsdesk organised its 4th Mynewsnight. The theme for the night was The Game of Influencers and Alex Myers talked us through the various campaigns he's been running with Manifest London - including BrewDog, where he managed to turn influencers into shareholders, MorphCostumes and Spandex. Why should we care about influencer relations? The explosion of social media has democratized communications. It has levelled the playing field affording almost everyone the opportunity to become an influencer.